Take a look back in history, Society 1.0 was defined as a group of people hunting and gathering in harmonious coexistence with nature. Not long after Society 1.0, next, Society 2.0 gathered a group of people based on agricultural cultivation. This then created a favourable climate for Society 3.0, a socio-economic movement that promoted industrialisation through a revolution, making mass production viable. 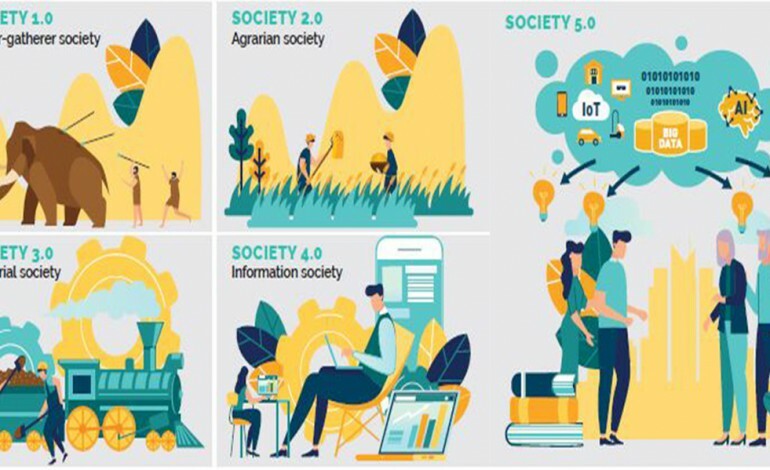 Following on the heels of the third revolution, Society 4.0 was an information society that recognised added values, connected intangible assets and combined them to form a network of information. Finally, changes are afoot again with the creation of the next Society 5.0. While not entirely a departure from what Society 4.0 was, Society 5.0 builds upon its previous iteration and sets a course to a prosperous human-centred society. This time, let’s delve into what this prevailing concept has to offer. Firstly, a prerequisite move in swiftly building a Society 5.0 is to get Big Data collected more seamlessly by IoT players. This vast new troves of information will be converted into a new type of intelligence we now know as Artificial Intelligent (AI). This is the keystone of Society 5.0 and it will touch every corner of the society. This means, in effect, Japanese citizens will be provided with only the products and services they need, in the exact amount and at the specific time needed. 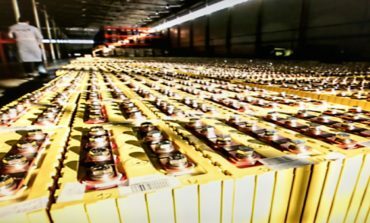 Even more constructive perhaps is Japan’s effort to practically increase the threshold of its comfortable and sustainable living standards with higher technology adaptation. Smart indeed. Society 5.0 isn’t rocket science. It simply takes full advantage of what current technology has to offer to become a smart society. Potentially just as fascinating is the sight where robots are employed in Japanese houses and these smart robots communicate with their adopted families. Privateconversations will be automatically uploaded to cloud, analysed by AI and downloaded back to the robots to perform a wide range of functions. As a result, millions of conversations will be stored in cloud for monitoring and improvement objectives. Weaving this new social fabric, Society 5.0 aims to increase the quality of life in a meaningful way rather than just increase the power of technology. The main goal here is to facilitate human prosperity and provide a tailored solution for the supply of goods and delivery of services in relation to how a particular group of consumers require them. More broadly, wellness is the lofty aspect pursued by Society 5.0. Against the backdrop of current demographic challenges, the suite of technology adopted in Society 5.0 needs to respond precisely to a wide variety of social needs. As such, technology needs to fashion what it can offer in new ways not very common before to accommodate everyone from all tiers of the society. The strategy, on which everything Society 5.0 does is designed to give everyone access to high‐quality services, overcome differences of age, gender, region and language to live a comfortable life. In Japan, as part of its Fifth Science and Technology Basic Plan (FY16 to FY20) announced in April 2016, the Japanese government aims to mobilise what it calls a “Society 5.0,” or a “Super Smart Society.” In resonance with this concept, Society 5.0 seeks to provide a common societal infrastructure to enhance citizens’ prosperity based on an advanced service platform. 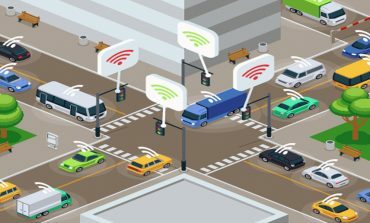 IT is the make up of a smart society and connectivity brings a lot of benefits to it. Well ahead of others, Society 5.0 attempts to usher in the transition from a technology-centred approach to a human-centred ideal to take full advantage of the advancement in science and technology, especially A.I. The approach is two pronged. First is to create a society that can face up to a host of current challenges and then enhance innovations of the fourth industrial revolution. Harnessing the power of digital intelligence, Society 5.0 aims to reshape society by embedding IoT, big data, AI, robotics, and other technologies throughout daily living. By leaning into the opportunity with readily available technologies, the society of the future will continuously create enormous values and services, making living more conformable and sustainable. Similarly, just as Industry 4.0 is the digital transformation of manufacturing, Society 5.0 tackles Japan’s unique challenges with roots that extend far beyond economic digitalisation in accelerating the digitalisation progress of the Japanese society. 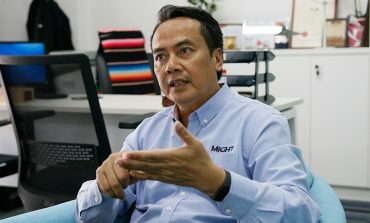 Anticipated progress in IT will continue to provide Japanese citizens with a tremendous window of opportunity that spans innovation, growth, and prosperity through human-machine collaboration and co-creation. However, the development also presents unprecedented ethical, legal, social, security, privacy and safety challenges that need to be addressed before the true benefits of these opportunities can be realised. For Japan, a super-smart society is not just an aspiration, it is a necessity. While Germany is best known for its Industry 4.0, Japan is taking it a step further. 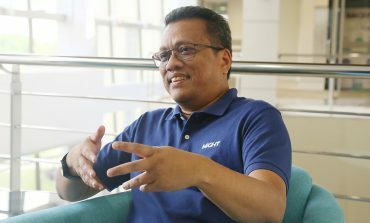 The government wants to create a society that not only thrives in the next digital economy, but also leverages the positive changes that digitisation brings. It all started when Japan was looking for new ways to overcome the many disparate challenges the country was facing, particularly concerning its aging population. Projections into the future showed that Japan’s older citizens (65 years old and above) will grow out of proportion and are expected to reach nearly 40% of Japan’s population by 2065. Consequently, this unhealthy outlook will inevitably stretch the country’s workforce well beyond its depth and capacity. 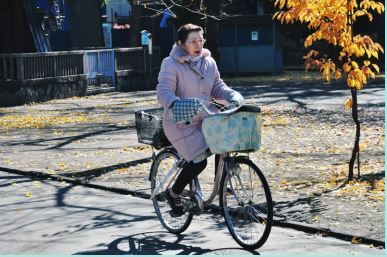 Impacts of the world’s ageing population will be more immediately felt in Japan considering its demographic composition. Thus, to avoid placing strains on the country’s economy, Japan’s focus in creating Society 5.0 hinges on broad improvement in healthcare, mobility and smart city infrastructure. Of course, Japan is also looking into dismantling old business practices with financial services that offer better facilities for its citizens. Besides this, Japan faces other pressing challenges such as pollution and natural threats. Fortunately, for each of these problems, Society 5.0 offers innovative methods to reduce the risks involved. Supporting an ageing population requires deeper resources. The decline in vitality will be particularly acute if not addressed properly. In the years to come, Japan has to cope with rising medical and social security expenses and needs better facilities to care for the elderly. • Use AI and robots at nursing-care facilities to reduce medical staff workload and dependence. By means of connecting and sharing medical data with hospitals, patients’ data can be easily collected to provide consultation and the medical treatments that follow. 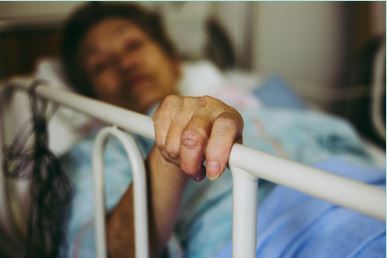 Remote medical care makes it possible for the elderly to monitor their health conditions at home, and they no longer have to pay a visit to the hospital as frequently as before. A population decline has resulted in underpopulated rural areas. The lack of access to public transportation is alarming while the fast-growing e-commerce market segment faces delivery worker shortage. • Improve distribution and logistics’ efficiency by introducing innovations such as a single driver cargo truck that is followed by a convoy of unmanned vehicle systems and drones. 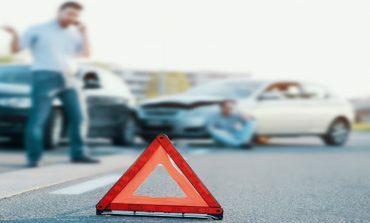 Going to the store or the hospital will no longer be an issue with autonomous vehicles, for example, drones will be able to provide a wider route-coverage especially for those staying in underpopulated areas. Drone technology locates and provides faster services in areas lacking access to public transportation. 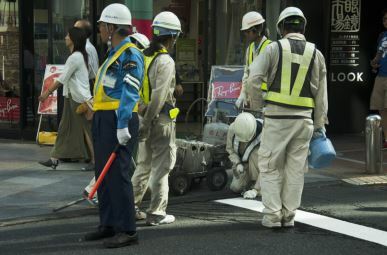 Deterioration of public infrastructure developed during Japan’s rapid economic growth period has caused a shortage of skilled labour and increased financial burden on inspection and maintenance works. • Adopt the use of sensors, AI and robots to inspect and maintain roads, bridges, tunnels and dams. To run new technologies such as ICT, robots and sensors for inspection and maintenance works however, require specialised skills. Despite this, defect detection and repair work can be executed in significantly less time. Additionally, this can minimise accident risks and at the same time improve safety as well as productivity outcomes. A large portion of Japanese transactions are still conducted in cash despite cumbersome bank procedures. Usage of IT is still not widespread enough and installation of cashless payment systems and convenient financial services still have a lot of catching up to do. 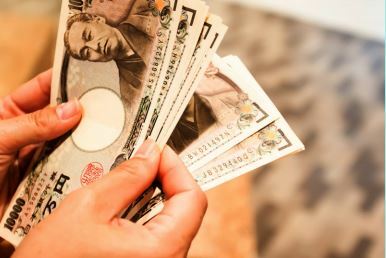 Overseas’ remittance is sometimes burdensome as Japanese online banking users are often required to spend more time and incur high transaction processing fees. However, with blockchain technology, Japanese citizens can cut time and costs down yet get better security protection in carrying out global business transactions.